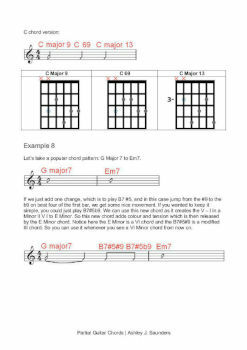 Partial Guitar Chords eBook will enable you to construct new guitar chords in a number of ways. Whether through using open strings, close harmony or by removing unnecessary notes. Although this is a jazz-based concept, this eBook can be applied to most styles and will help you to progress your knowledge and your guitar playing ability. So if you're looking for new advanced jazz guitar chords, this is the ebook for you. 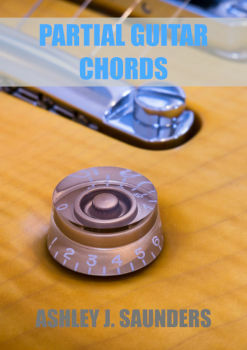 Learn a new way to construct chords on the guitar and how to use them with this easy to follow ebook. 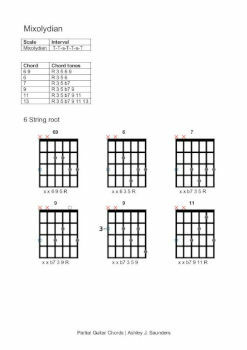 By following the examples presented in Partial Guitar Chords eBook, you can add interest and depth by taking chords, playing them in close harmony without unnecessary notes. This way the voicing sounds condensed and you can move through the chords quickly. We'll also explore how we can link these advanced jazz guitar chords to form licks to use in your rhythm playing or as a soloing device. Although this is a jazz-based concept, it can be applied to most styles and will help you to progress your knowledge and your guitar playing ability. 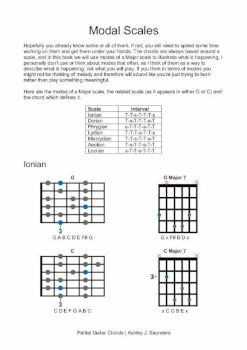 This eBook is aimed at those want to expand their guitar chord knowledge and how to build interesting rhythm parts.